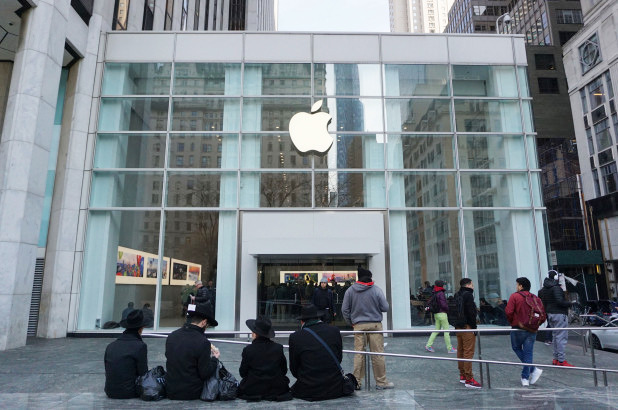 Apple's Fifth Avenue temp store — handling traffic during renovations at its iconic New York City cube — has reportedly been dealing with a bed bug problem for weeks. Trouble started about 3 to 4 weeks ago, when overnight staff cordoned off a table on the second floor after discovering the first bug, the New York Post said. The New York Post speculated that the bug may have arrived with one of the homeless visitors the location regularly receives, but the city has a high rate of infestation across all social spectra. Regardless, both workers and shoppers were allowed in the store and even around the table without any warnings, one source claimed. Management later brought in an exterminator and said the situation was safe, only for another overnight worker to find a bed bug on their sweater. Video of that incident was circulated among hundreds of staff and led to a second round of spraying. Last week the store closed for 6 hours one weekday night, allegedly because of a water leak. Some staff are said to have shown up without having been told their shift was canceled. This past Friday a bug was spotted in a manager's office, creating "mayhem" among workers, one person said. People were ordered to double-bag possessions in plastic, and a sniffing beagle was brought in, which ultimately detected bugs in two lockers. Store management is said to have called employees over the weekend insisting that the danger was "isolated" and resolved. Bed bugs don't carry infectious diseases and rarely cause anything worse than a rash or fever when they bite. They are however notoriously difficult to get rid of, often requiring multiple washings and pesticide treatments to end an infestation. It can sometimes be simpler to destroy clothing and linen rather than clean it properly.